B.R. 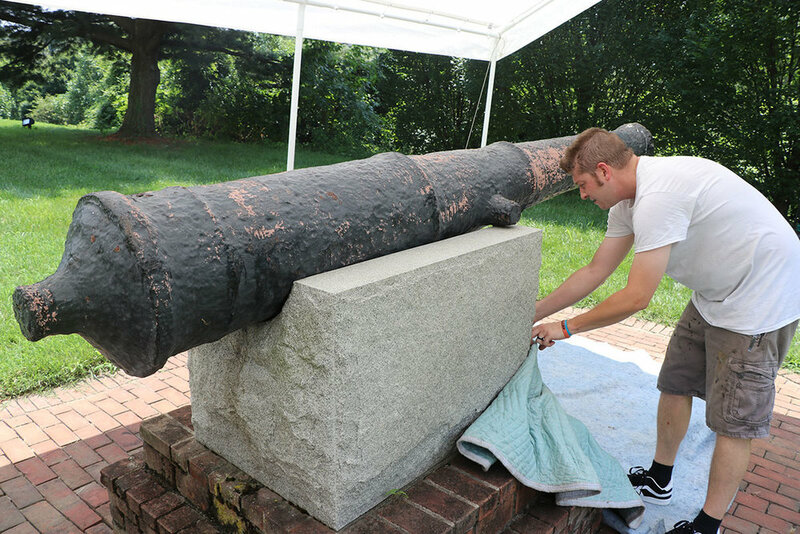 Howard & Associates was contacted by the The Riverdale House Museum to provide conservation treatment their 1632 cannon. The cannon came across the seas to the New World upon the Ark & Dove ships along with Maryland's first colonists. Before any treatment was completed, the cannon was thoroughly photographed. BRH cleaned the interior of the cannon barrel using an industrial vacuum cleaner and wiped with acetone as possible. The cannon's interior was coated, to the fullest extent possible. Areas of active corrosion were mechanically reduced using wire stainless steel brushes. Previously treated fracture/fissures were reopened and then injected with a two-part epoxy adhesive to stabilize the old repairs. Exterior painted surfaces were scarified with abrasive pads to improve adhesion between the existing coatings and new priming layer. 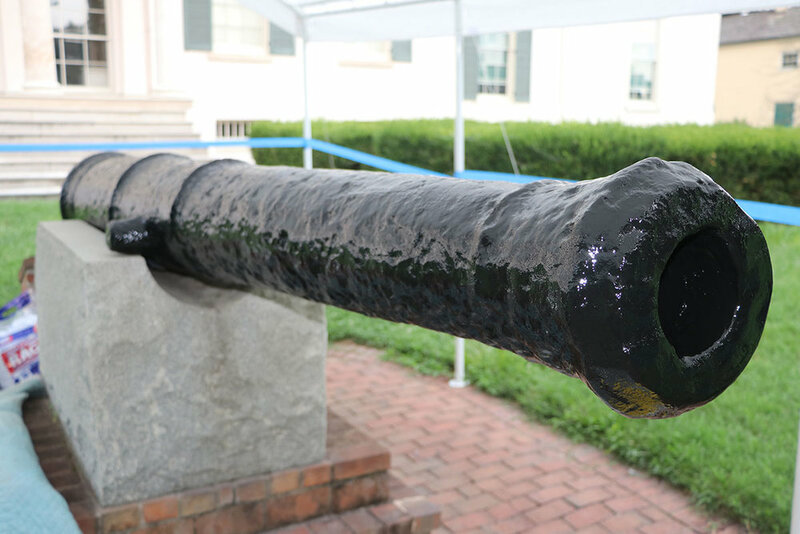 The surfaces of the cannon were then cleaned using lint free cotton cloths wetted with mineral spirits. After the primer cured, the cannon was painted with an industrial poly siloxane paint. A synthetic rubber tampion was created to fit in the cannon's muzzle to prevent water and debris from entering the barrel. The plaque was given a protective lacquer coating with UV stabilizers.